U.S. Customs and Border Protection officials in Arizona said they've made their biggest fentanyl bust ever, The Associated Press reported. Fentanyl has become the biggest source of fatal overdoses in the U.S. in recent years, the AP said, citing authorities. An opioid used to manage chronic pain, fentanyl is 80 to 100 times stronger than morphine, KOLD-TV said. 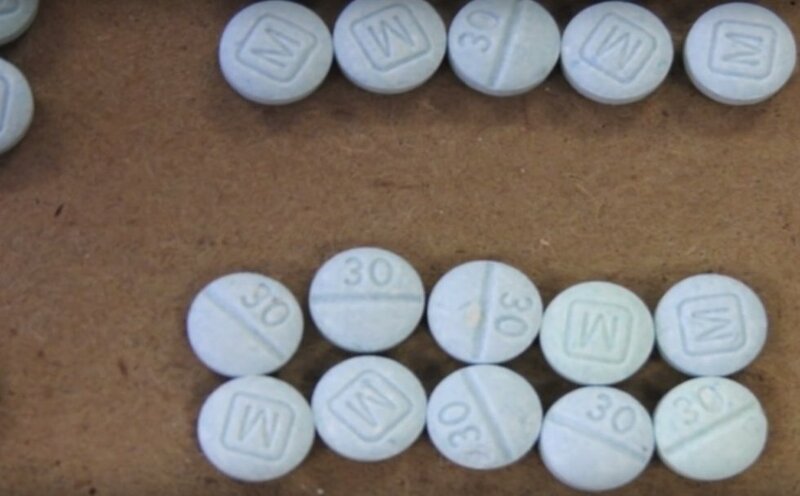 The AP added that it's seen as a white powder that's mixed with heroin for an extra kick and in the form of blue pills that are counterfeits of prescription drugs like oxycodone. Details of the bust were noted Wednesday on Fox News' "Tucker Carlson Tonight," which said Border Patrol agents seized enough fentanyl to kill 57 million people — nearly 20 percent of the U.S. population. Fox News correspondent Hillary Vaughn noted on the program that "we got our hands on an internal memo from U.S. Customs and Border Patrol" and said the bust was "the biggest fentanyl seizure in U.S. history." The bust occurred Saturday at the port of entry in Nogales, Arizona, the memo noted. Vaughn added that CBP officers stopped a tractor-trailer crossing into the U.S. and found 114 kilograms of fentanyl under the floor of the vehicle. According to the DEA, just two milligrams is considered a lethal dose. They also grabbed 179 kilograms of methamphetamine and one kilogram of fentanyl in pill form. The street value for the fentanyl alone: over $102 million. The CBP officers arrested the smuggler, a Mexican national who attempted to drive the drugs across the border. The suspect was a part of the DHS's trusted traveler program called FAST, that stands for free and secure trade for commercial vehicles. The program started after 9/11. She added that FAST is akin to a TSA precheck for truck drivers crossing border, who must complete background checks and meet other requirements in order to received expedited screening. Mexican traffickers also smuggle drugs using vehicles crossing north through the San Diego port of entry, the AP said.